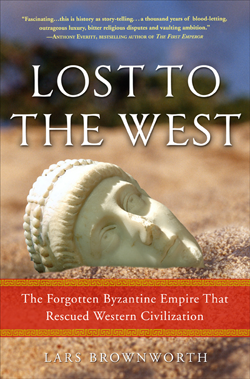 OK, I did not know a thing about the Byzantine empire before I read this book and now not only do I have a sense of what was going on in Byzantium for 1200 years, but I also care. Bronworth makes a compelling case that Byzantine leaders really conceived of themselves as the continuation of the Roman empire, a civilization most historians describe as vanishing in the mid 300s. Moreover, Bronworth does a great job of calling out what matters in any particular century: threatening advances by the Persians, church disputations over the importance of iconography (and the ensuing rise of Iconoclasts, literally “image breakers”), divisions between the Pope in distant Rome and the seat of power in Byzantium (Constantinople), when a King’s love life got in the way of governing, or the architectural and metaphorical significance of the magnificent Hagia Sofia. There is probably no avoiding keeping track of a long list of Kings and hundreds of wars necessary to keep an empire afloat for more than a millennium. Brownworth does a great job of moving quickly through the less important ones, but the campaigns and battles do get tedious so it takes more work than some readers will be willing to put in to stick with the empire for another couple of centuries. A greater emphasis on the lives of ordinary citizens, and a little less focus on royalty, would have interested me more, but I didn’t write the book, I only read it. This is the story of Miss July a house slave in Jamaica from her birth in the cane fields to her post-slavery restitution living in the house of her accomplished son, his wife, and according to Miss July, her son’s three excessively pampered daughters. 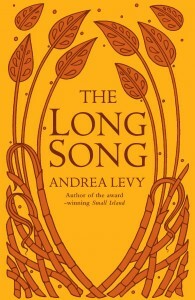 This memoir of sorts is chirpy and upbeat as seen through the ordinary lives of enslaved Africans. Yet their lives are so horrible and awful that no amount of rationalizing on my part could let me understand how a slave owner could treat other humans worse than penned chickens. Masters had to maintain the concurrent belief that slaves were no more capable of higher thoughts than feral goats and simultaneously worry that his slaves were so clever and devious that a deadly revolt or uprising could erupt at any moment. The voices of both masters and slaves are so real in the hands of Andrea Levy’s skillful pen that they creep inside your head to linger for days. Mr. Rosenblum and his wife Sadie arrive in England as German refugees in 1937. 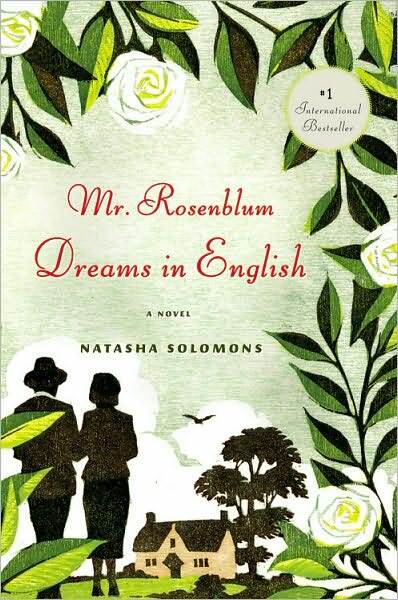 Mr. Rosenblum wants so desperately to assimilate that he keeps lists of all things British to emulate: manners of speech, foods, how to carry an umbrella, fold a handkerchief. He is indifferent to his wife’s longing for memory, so much so that without telling her he purchases land in the English countryside to build a golf course. He does so only after being denied admittance to every golf club near London because of his Jewish heritage. Alas, that’s the whole story. The characters, even British country-siders are stock, the drama is minimal, the loss of heritage is sad, and I don’t really know if Mr. Rosenblum is finally accepted in British society or not, because I never finished the book.